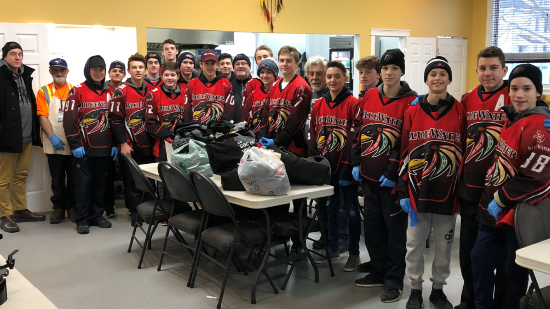 The Hawks gave back to the community in an eye opening way by volunteering their time at the Hummanity Project in Moncton. Serving soup, tea, coffee, supper to their new friends was one of the things they did. 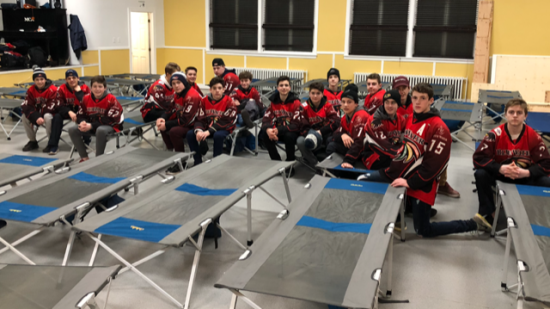 After serving over 50+ people the boys took down tables and chairs cleaned up the shelter and set up over 40 beds that were used for people to sleep on. Upon leaving, the boys donated a bunch of items such as: hats, mitts, hand/foot warmers, scarves and blankets they had collected. The boys had a great time and left feeling pretty good.